Choupo-Moting's inexplicable goal-line clearance launched a thousand memes on Sunday and postponed Paris Saint-Germain's Ligue 1 procession for at least another week. 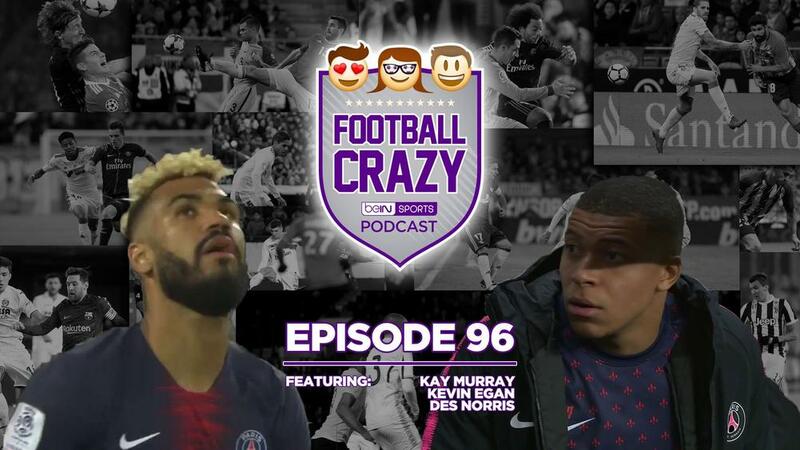 On this week's Football Crazy, the gang tries to climb into the mind of viral sensation Eric Maxim Choupo-Moting following the Cameroonian's Ligue 1 title race-sustaining goal-line clearance, before providing a scatological breakdown of Diego Costa's potty-mouthed tirade during Atletico Madrid's latest defeat to Barcelona (4:15). Then we pick over the wreckage of Dortmund's confidence-crushing Der Klassiker bludgeoning (11:40), more dodgy officiating and Moise Kean heroics in Serie A (13:15), Liverpool's clutch gene (16:40), and an epic FA Cup semifinal comeback (20:05). Part Two begins in La Liga Limbo, where Real Madrid will reside until August (25:03), before focusing on this week's tasty Champions League's quarter-final first legs (28:35), the four-way battle to claim a fourth-place finish in the Spanish top-flight (31:30), the four-way battle to claim a fourth-place finish in the English top-flight (37:20), and La Liga's tear-jerking relegation scrap (39:50). We wrap things up with some MLS chat (43:30), the story of a Turkey-based Kiwi international flirting with switching to the USMNT(45:00), and Power Rankings.